Services Offered: Sleeve Gastrectomy, Gastric Bypass, Lap-Band & Revisional. Dr. Schmitt received his M.D. Degree from the University of Alabama School of Medicine and completed his Internship and Residency training in General Surgery at UAB. 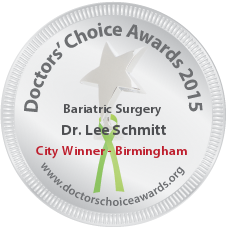 Dr. Lee Schmitt has proven himself to be one of the most skilled bariatric surgeons in the Southeast. His surgical talent and excellent rapport with patients make him outstanding in his field. 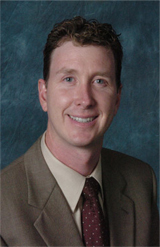 Dr. Schmitt is a very skilled, compassionate, and gifted surgeon. I have known him for many years, and he has developed the admiration of not only his patients but his colleagues as well. Excellent minimally invasive Bariatric surgeon!! I send my patients to him for those needs and other surgical issues. Besides great technical skill, he is a great communicator with excellent bedside manner. I have known Dr. Schmitt for many years and work with him every day. He is an excellent surgeon, and I would wholeheartedly recommend him to anyone. He has good clinical judgement and treats his patients well. An excellent surgeon who is very prompt, thorough, and technically very skilled. He is an esteemed colleague! 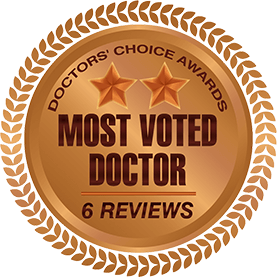 Dr Schmitt has established a well earned reputation as one of the top Bariatric Surgeons in the South. His success and skill is reflected by the growing number of satisfied patients , some of whom travel long distances to have their surgery in Birmingham. Dr. Schmitt is a very talented surgeon and communicator. He treats patients from far distances because of his reputation and skill. 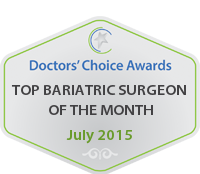 He is the most gifted bariatric surgeon in this region of the country.